Many kids are playing games online more and more. This is fun and a great way to connect with friends, but it's also important to understand how to handle certain situations that may arise. 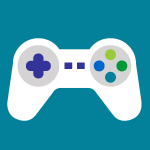 Online games can be played via computers, consoles (Playstation/Xbox), mobile devices or even on social media sites. Many players use an assumed name and it can be difficult to identify who they really are, so it's important to know what your child(ren) is involved in. Play with your child(ren) or sit with them while they play. You may have fun and learn about gaming, too! Check the ratings of the games your child(ren) are playing to ensure it is appropriate. Many games come with a rating on them from the Entertainment Software Rating Boards (ESRB). Younger children should only play online with family or close friends you already know. Be aware of in-app spending that can occur with certain games. Kids may be tempted to spend additional money online with in-app options. Keep personal information a secret. Never share information about yourself or your family with other players (real name, home address, age, gender, or pictures). If you feel you want/need to include a small amount of information, check with your parents first to make sure it's OK. Protect your online gaming accounts with strong passwords. Passwords should be at least eight characters (or longer) and include a mix of letters, numbers, and symbols. Make a safe gamer name. If you struggle with this, ask a parent for help. Your gamer name should not reveal any personal information, should not be suggestive or include location information. NEVER meet an "online" friend in person with permission from your parents. If you do meet up be sure to choose a safe, public location and bring another adult or friend with.